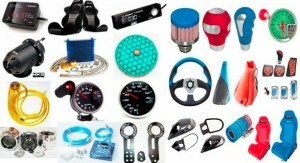 Texas Audio installs a large selection of accessories for any vehicle. From cruise controls to seat heaters, running boards to back up systems, to power windows and locks, we can outfit your vehicle with the latest in convenience and safety systems. Want to keep your car protected? We offer a full line of floor mats, vent visors, hood shields, and mudguards to fit almost any vehicle. The list of manufacturers is extensive so please call. Driving can be a dirty ordeal, but you can protect your truck with the addition of awesome accessories such as bug deflectors, mud flaps, and more! 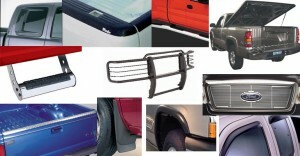 Truck accessories in any form are versatile and practical for vehicle protection, aesthetics, and so much more. Whether you’re an off-roader who loves to tear through fields or a frequent highway driver who tends to get caught behind those pesky, rock-flinging construction trucks, Texas Audio has the equipment you need to help your ride look and perform its best. If you’re ready to take your truck to the next level, our pros are here to help. Truck accessories allow owners to show individuality through their vehicles while safeguarding them against the hazards of the road. Enhance passenger accessibility with nerf bars. Prevent debris from collecting in the corners of your truck bed and add to the security of your cargo with one of our tonneau covers. At Texas Audio, you’ll find the best selection and installation services for truck accessories in Texas. Call or stop by today to learn about all of the accessories available to keep your truck in tip-top shape. When you trust Texas Audio with your accessorizing needs, you are not only receiving a lifetime guarantee on our installation work and quality products, but also the peace of mind that your loved ones and your vehicle are being protected by expert service. Only a professional can properly torque the bolts on your new nerf bars, or accurately measure the channels for your tonneau cover to ensure a decent fit that will help provide your gas mileage. For quality service and truck accessories in the Dallas area, call or stop by today! Staying connected to the world can be tricky while driving. Whether it’s slow data speeds, poor cellular signal or lacking network connectivity, they can all suffer without the right gear in your vehicle. Signal boosters are vital for those who are often on the road or those without nearby cellular towers for 4G LTE and 3G voice calls. 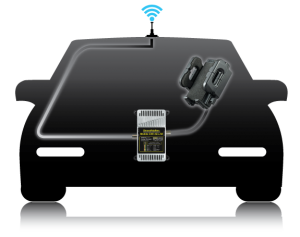 The Smoothtalker cellular signal boosters are the highest powered on the market and are perfect for drivers who cannot sacrifice Wi-Fi network connectivity on the go. While driving, network signal can be scarce, leading to pesky dropped calls and even shortened battery life. 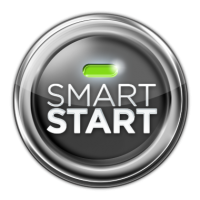 Smoothtalker signal boosters not only reduce the prevalence of these problems, but can actually improve upon data speeds in your car and even extend battery life. From working on the go to enjoying your favorite podcast in the middle of nowhere, Texas Audio has got you covered. If you’re ready to say goodbye to driving with poor signal and annoying dropped calls, come check out our selection of highly portable and extremely reliable signal boosters today.